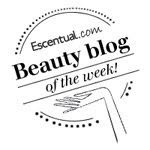 Back in November I wrote about how much I liked the bronzer and blusher above from Accessorize in this post, since then they have been used probably more than any others I own. Today I turn my attention to the Eye Shadows I was sent. 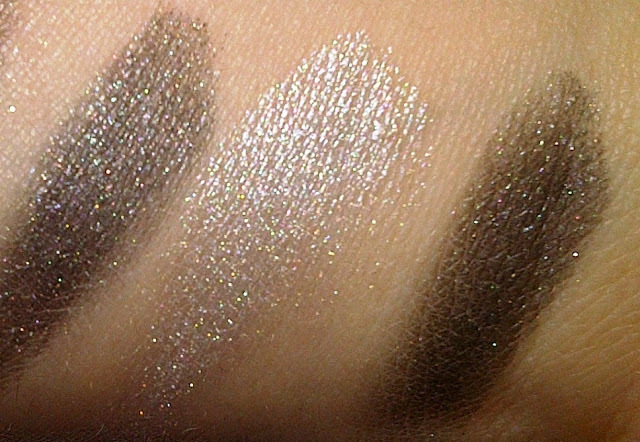 The trio of eyeshadows is called Dazzlingly Devastating and the duo is called Aphrodite. 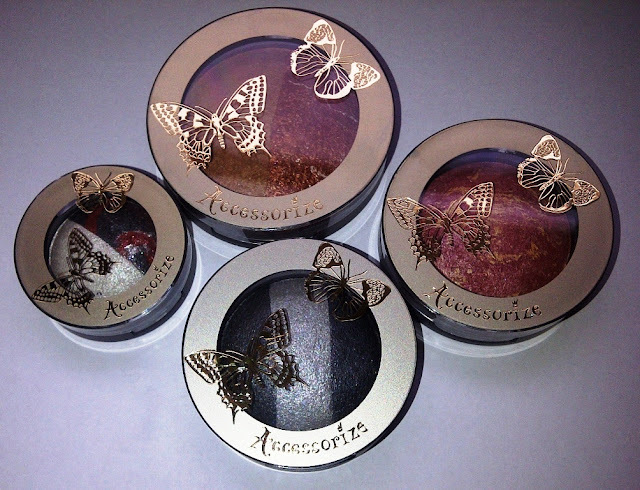 Once again they feature the same cute Butterfly design packaging and sturdy flip top lid. 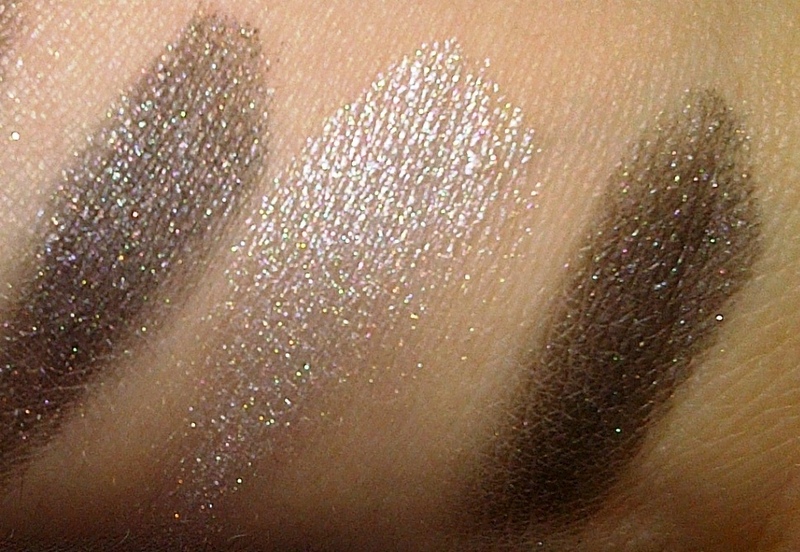 In the pan I struggle to see the difference between the two dark shades but if I look close enough it appears to be that the shade on the left is a dark grey with mulit-coloured flecks of shimmer. The shade on the right is more of a charcoal colour with grittier flecks of ice blue! The central eye shadow is a smooth shimmery cool silver. Pictured above is how the shadows transfer to the skin. Pigmentation is good, this is with just one swipe of my finger. You can clearly see the multi-coloured flecks, the shimmer and the sparser flecks in the charcoal. Staying power is good and they don't crease. I am really impressed. Aphrodite is very appealing in the pan but I am not entirely sure this combo is for me and so I haven't yet applied it to my eyes but I will do! 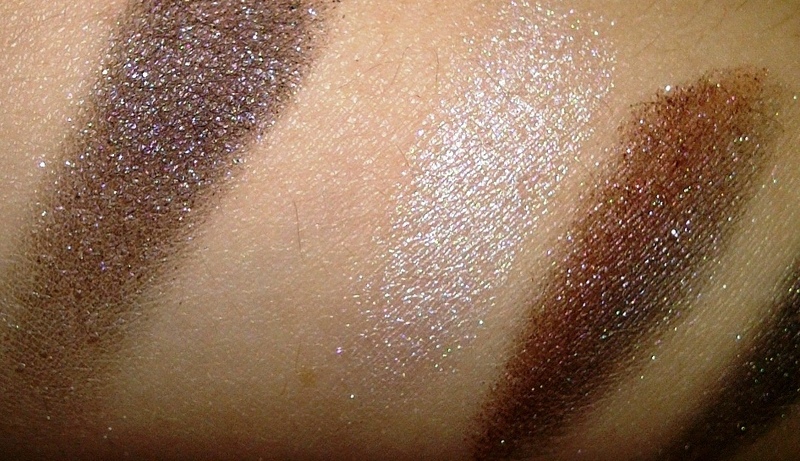 The white would make a good highlighter for the inner corners of the eyes or the brow bone. The black with red swirl is something that is new to me so I need to work out how best to blend it and show it off on the eyes... If you take the black on its own and apply it to the skin it isn't much different from the dark grey in Dazzingly Devastating. 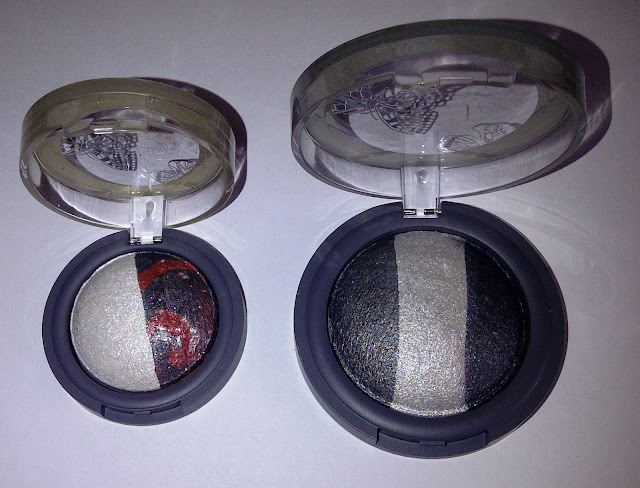 The swatch on the right involved my finger running across the shades of black and red (not blended). Texture wise these are smooth and silky, really nice. On the Accessorize website I have spotted Illusion Merged Eyeshadow in Golden Caramel which is a creamy swirl of baked gorgeousness and looks like it is completely up my street :-) I need to purchase this. Accessorize makeup is available to purchase at participating Accessorize and Superdrug stores. I like the look of Aphrodite - it's quite unusual.